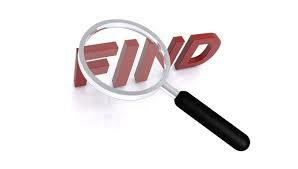 Click on the link below to search when your case might be scheduled. This website is provided to you free of charge, “as is”. The 10th Circuit Public Defender’s Office uses its best efforts to see that this website is properly maintained, but makes no guarantees concerning the information contained in the site, including the accuracy, currency, or content of such information and is not responsible for the results of any defects or misinformation that may be found to exist, or any lost profits or other consequential damages that may result from such defects or misinformation. You should not assume this website is error-free or that it will be suitable for the particular purpose that you have in mind when using it. The information contained in this website is not official and the 10th Circuit Public Defender’s Office will not be responsible for any inaccuracies that may be encountered. By using the information in any form, the user agrees to indemnify and hold harmless the 10th Circuit Public Defender’s Office and anyone involved in storing, retrieving or displaying this information from any damage of any type that may be caused by retrieving and/or disseminating this information over the Internet.